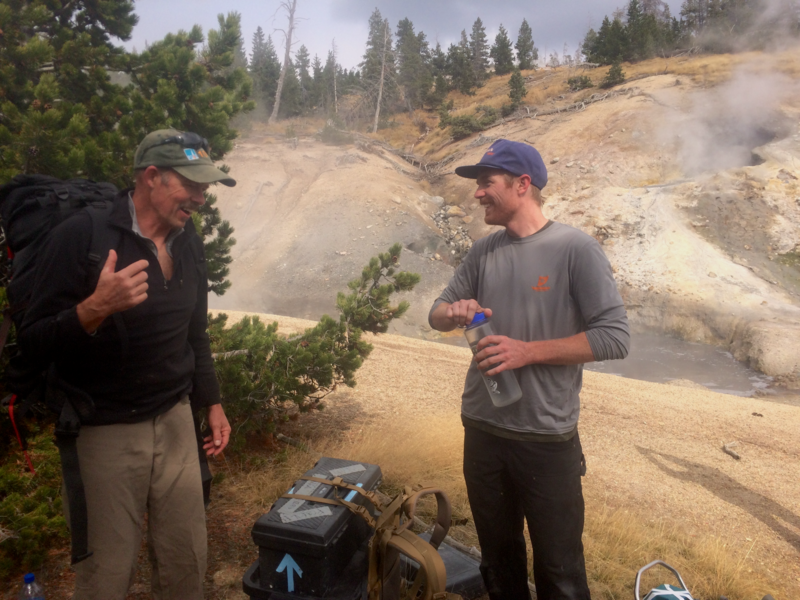 Five miles into the backcountry of Yellowstone National Park, you can smell Washburn Hot Springs before you see it. Unlike other natural wonders, Washburn is sparsely visited and lends itself to the sense of discovery that was surely felt by those who first wandered upon it. 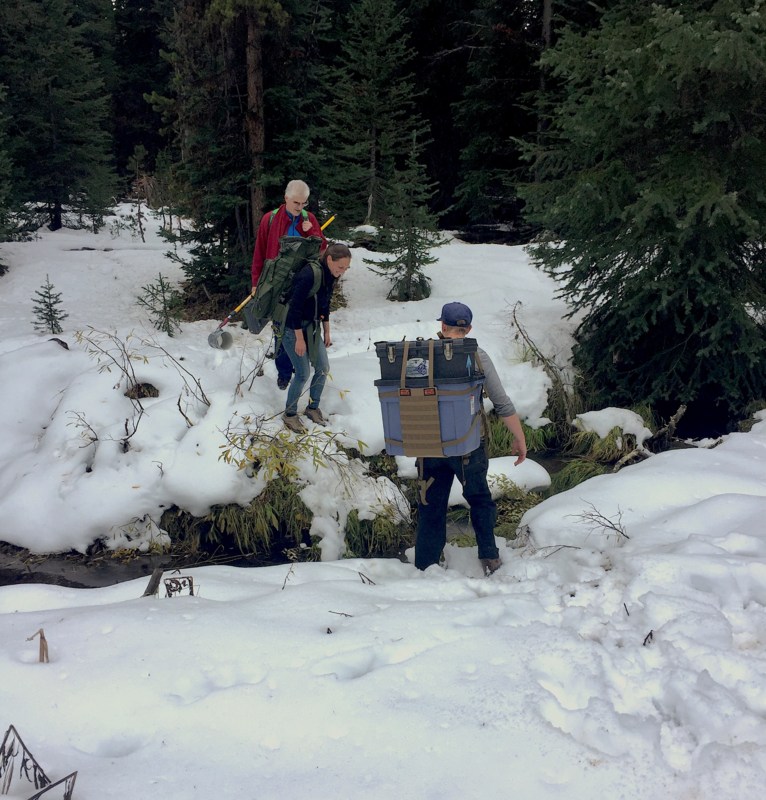 On this trip our research team is loaded to the brim with gear for sampling the sulfidic environment, wearing backpacks stacked on backpacks, carrying a dewar of liquid nitrogen, a large beaker attached to a painter’s pole, a cooler of dry ice, and a couple of toolboxes containing odds and ends that you always end up needing. Each of us is equipped with pepper spray for grizzly bears, a reminder that Nature often guards its most extraordinary treasures. Drs. Mensur Dlakić and Viola Krukenberg on our way to Washburn Hot Springs. Image credit: Dr. Roland Hatzenpichler. Once the sampling begins, everyone is assigned a different task. Some collect the gases bubbling up from below for chromatography or fluids for colorimetric analysis of sulfide, others take samples for DNA and RNA extractions. I begin setting up sediment vials for stable isotope enrichments, and Prof. Bill Inskeep measures pH and temperature while jotting notes in the field book. I’ve hiked or skied to Washburn five times since coming to Montana State University, and Bill has made the trek nine times. Dr. Bill Inskeep and I discuss the sampling plan. Research conducted under permit # YELL-2017-SCI-5068. Image credit: George Platt. The reason we continue to go to all of this trouble is because Washburn Hot Springs is scientifically compelling on many levels. At a pH of 6.5 and temperature of 65-70°C, the gases escaping from this large bubbling cauldron are comprised of hydrogen, methane, carbon dioxide, and hydrogen sulfide. Extremely high levels of ammonium sulfate at ca. 12-16 mM are derived from subsurface interactions between Washburn fluids and marine sedimentary rocks from the Mesozoic (Holloway et al., 2011). This suboxic pool is rich in both carbon and energy and supports a diverse community of poorly understood microorganisms, and many of them appear to be involved in sulfur and methane metabolisms. The chemical and biological characteristics of Washburn Hot Springs suggest it is an ideal analog for ancient environments where life may have originated. Washburn Hot Springs is a murky, bubbling cauldron. Research conducted under permit YELL-2015-SCI-5068. Image credit: Dr. Bill Inskeep. Over the past four years, metagenomic discoveries have drastically shifted our understanding of microbial methane metabolism. Genes for methanogenesis have now been discovered in several diverse archaeal lineages (Evans et al., 2015; Vanwonterghem et al., 2016; McKay et al., 2019; Borrel et al., 2019), and were shown to be involved in butane oxidation by ‘Candidatus Syntrophoarchaeum’ (Laso-Perez et al., 2016). The first thing we noticed upon examining the metagenome from Washburn Hot Springs (sample retrieved by Drs. 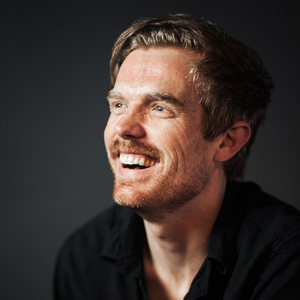 Zack Jay, Jake Beam, and William Inskeep) was the prevalence of “non-traditional” methane-metabolizing organisms. We recovered marker genes for methanogenesis in four different archaeal genomes, and none belonged to canonical methanogenic lineages from the Euryarchaeota. Two belonged to the recently discovered phylum Verstraetearchaeota (Vanwonterghem et al., 2016; Borrel et al., 2019), one to the Hadesarchaea (Baker et al., 2016), and one to the Korarchaeota (McKay et al., 2019; Borrel et al., 2019). This observation corroborated our previous amplicon-based study of novel methyl coenzyme M reductase variants from the same hot spring (McKay et al., 2017). 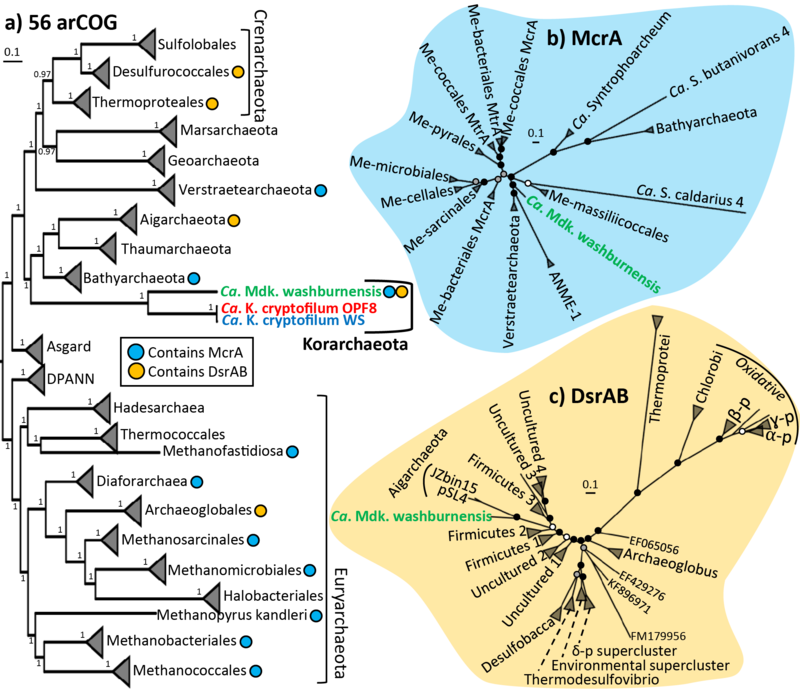 Figure 2 from our report shows the position of Korarchaeota in the archaeal domain (a) and the phylogenetic placements of McrA (b) and DsrAB (c) belonging to Ca. M. washburnensis. Closer inspection revealed that the genome belonging to the Korarchaeota contained genes for dissimilatory sulfur metabolism (dsr) in addition to anaerobic methane metabolism (mcr). This observation made ‘Candidatus Methanodesulfokores washburnensis’ interesting for two primary reasons. First, mcr and dsr are used separately by consortia of methane oxidizing archaea and sulfate reducing bacteria in ocean sediments that oxidize methane with sulfate via an interspecies electron transfer reaction (Boetius et al., 2000); however, they have not previously been observed together in a single genome. Second, isotopic evidence of both sulfur reduction and methanogenesis suggests they are two of the most ancient microbial metabolisms (Ueno et al., 2006; Shen et al., 2001). The occurrence of genes for both metabolisms in the genome of a deeply rooted thermophilic archaeon may be a potential clue to early life on Earth. The discovery of methane and sulfur metabolism in the Korarchaeota is another important reminder that cultivation-independent techniques are crucial to understanding the true phylogenetic diversity and physiological potential of life on our planet. Conversely, it sure would be nice if we had this microbe in culture! In the meantime, ‘Ca. 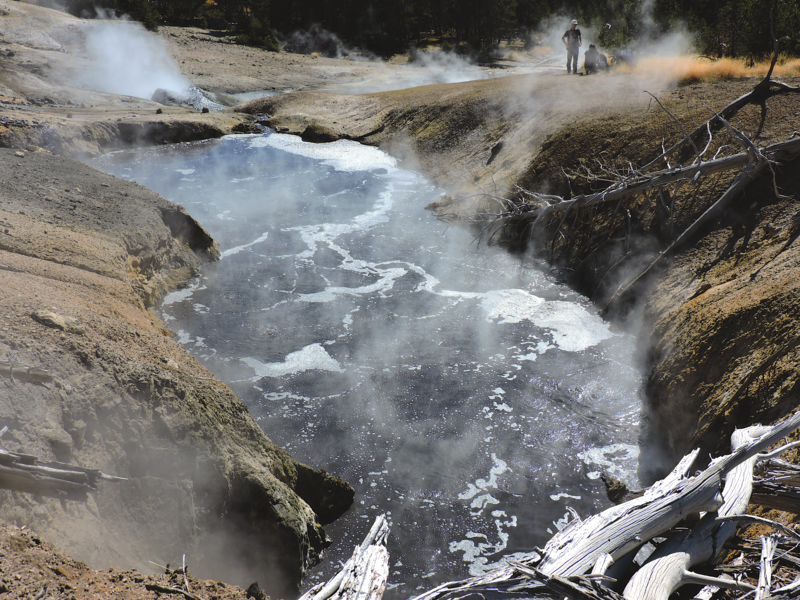 M. washburnensis’ remains in the murky, bubbling waters of Washburn Hot Springs, together with an abundance of uncharacterized archaea and bacteria that likely harbor yet unknown secrets of life.